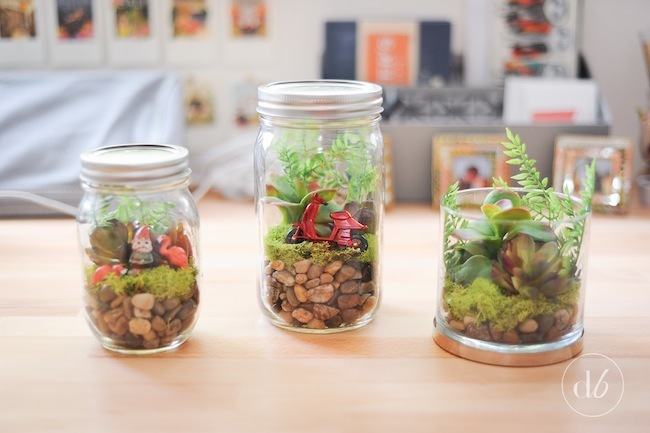 These little terrariums are super quick to put together and a great activity for kids! 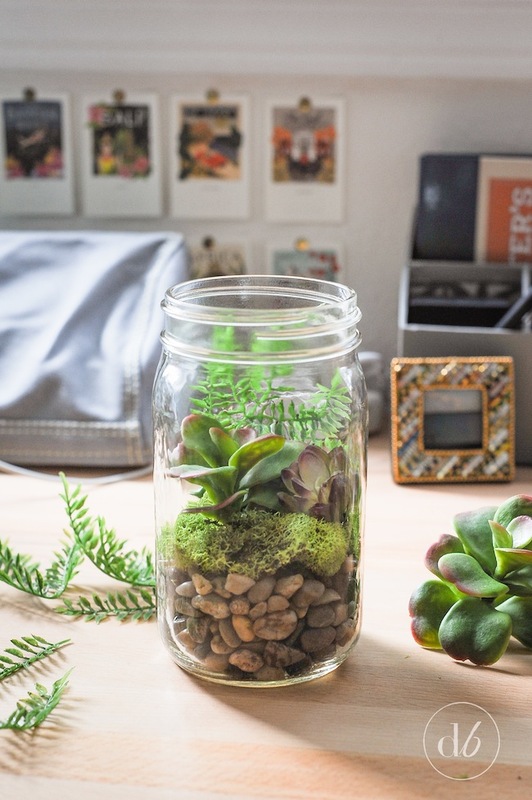 They look great on desks and end tables or anywhere you need a little bit of greenery! Since I’m generally a plant killer I decided to go the faux route to make sure my mason jar terrariums would stay green all year round. If you’re a green thumb, feel free to do this with real plants (just remember to add some dirt). Let’s get started! 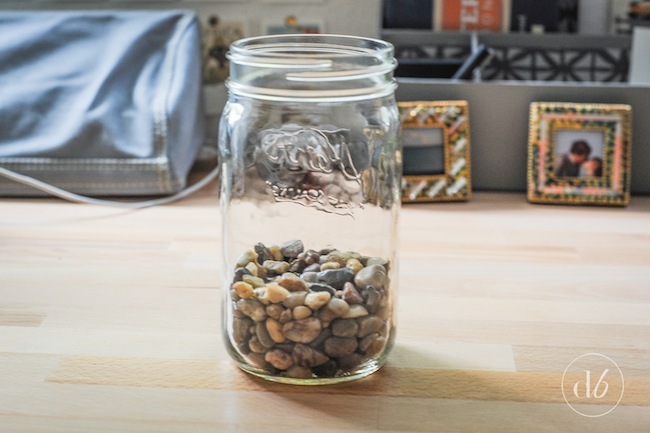 Layer some small stones and pebbles on the bottom of your mason jar, filling it up about 1/3 of the way. 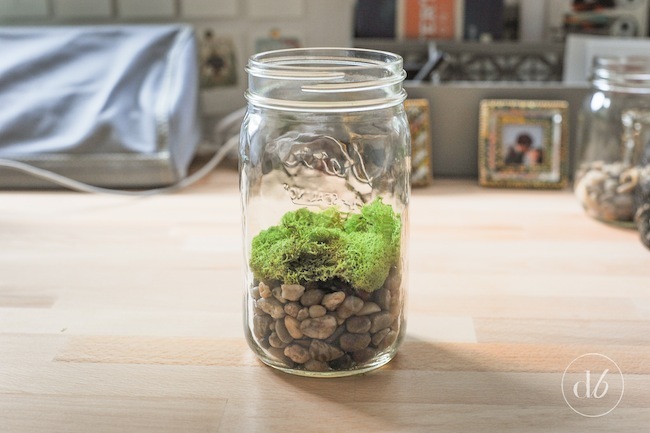 If you are doing real plants instead of fake ones, reduce the amount of pebbles to 1/4 or 1/5 of the jar and put a layer of dirt on top of the rocks. Next, take a little bit of moss and press it down on top of your pebbles. 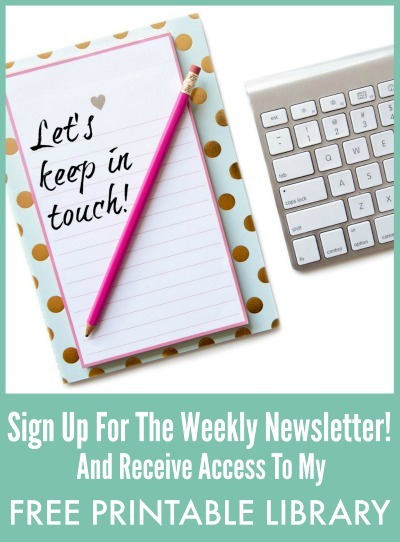 Only use a little as it’s really springy and takes up a lot of space! Just a little bit to completely cover your rocks will do! 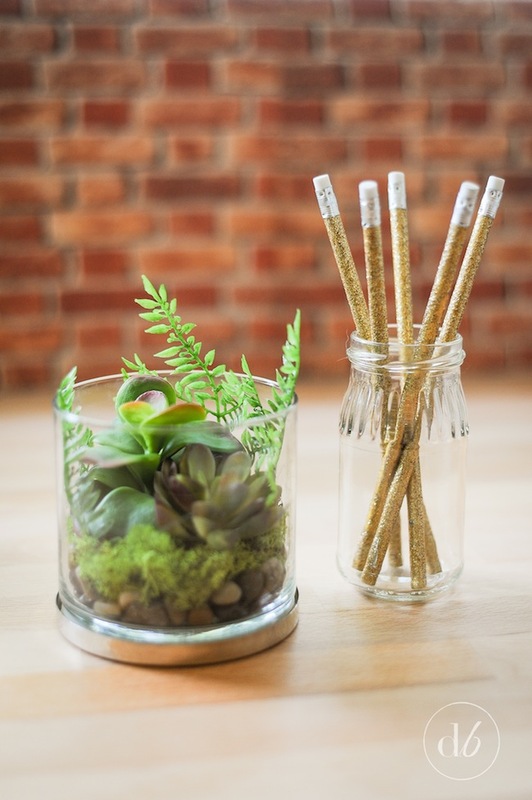 Start adding in little bits of greenery and succulents, using your wire cutters to separate smaller pieces from the larger sprigs that you got from the craft store. Experiment with different sizes and arrangements and once you’re happy with where they’re at, press the stems gently through the moss and into the rocks. 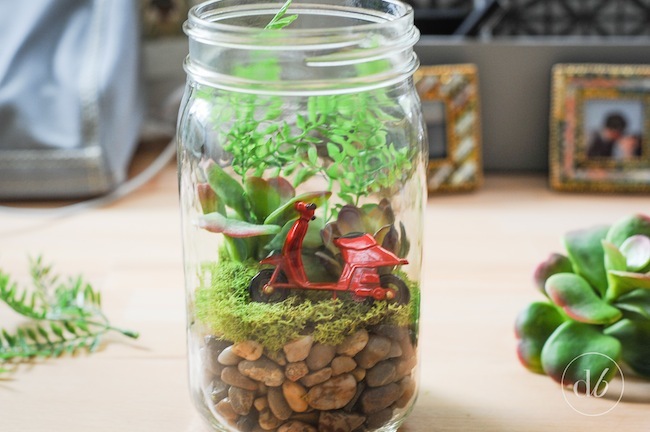 If this terrarium is something that a kid will be handling often, consider using a bit of hot glue to really adhere your greenery pieces so they don’t come loose! 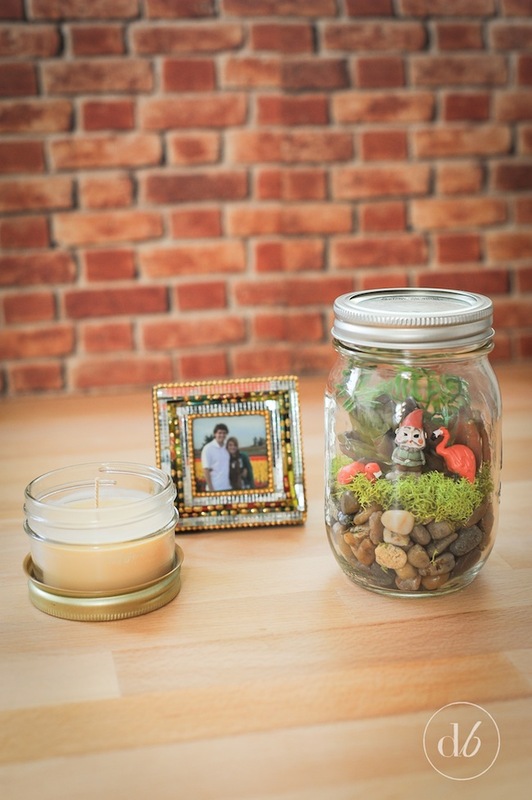 Since these are so quick to whip up and I had extra materials, I decided to make another, smaller mason jar terrarium, and one using and old candle jar. I’m really happy with how they turned out! My favorite might be the little garden gnome and the two lawn flamingos! Too. Cute. 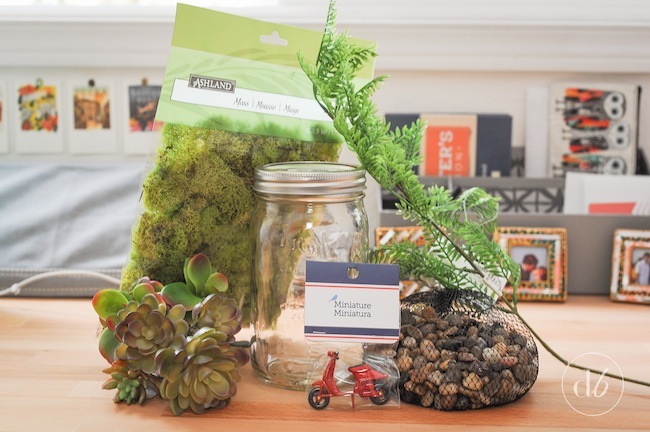 What would you put in your mason jar terrarium? 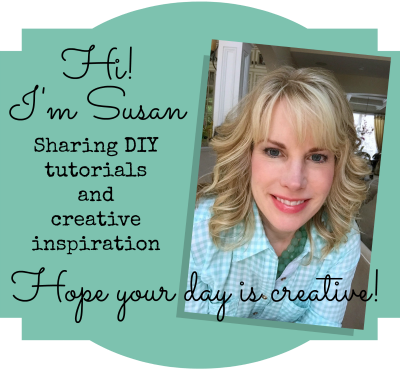 Thanks so much to Susan for having me along and I’ll see you next month! 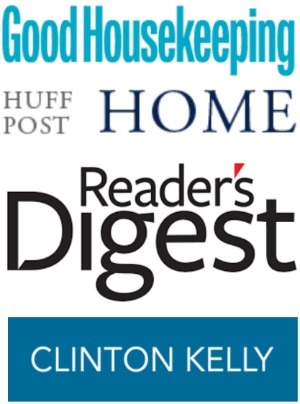 Come drop by Dwell Beautiful sometime and say hello! Thank you so much for your kind words, Karen! I’m definitely jealous that you have a pink Vespa! How fun 🙂 I found the little moped figure at Michaels craft store – it was on an endcap with lots of other little miniature pieces you use for dollhouses and dioramas. Try looking for the wooden dollhouses and these minis should be somewhere nearby! 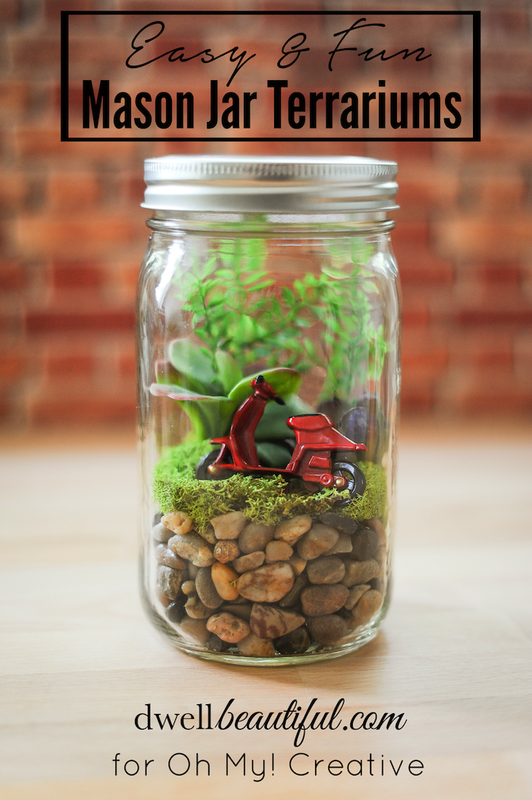 I came across this post when looking for mason jar terrarium projects for kids. How long do these last? Since you are not really planting the succulents and you aren’t using any soil, I assume the plants die soon. Is that correct? Woohoo!!! That’s so awesome, Karen! I’m definitely jealous that you have a Vespa and that you get to drive it to the beach! 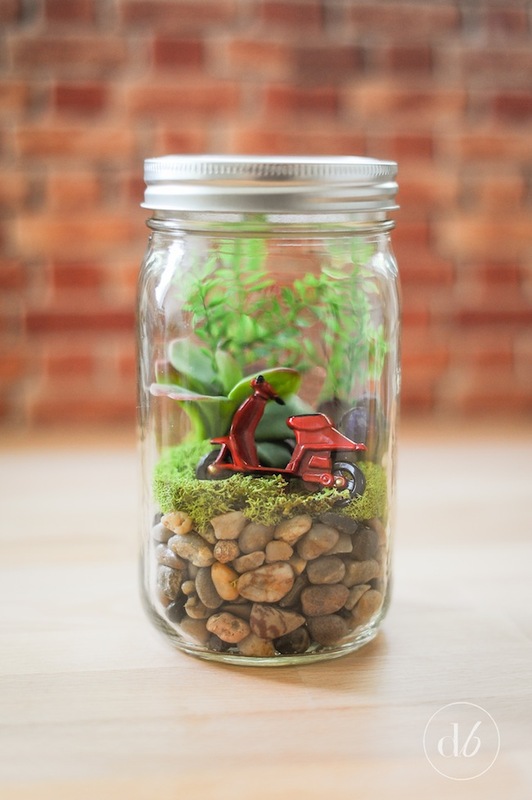 It sounds like you’ll have an awesome terrarium 🙂 You’ll have to share a picture when you’re done! !